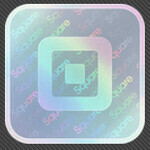 Mobile payment company Square has reworked its iOS only mobile app, formerly known as Card Case. Now called Pay with Square, the app is available for both iOS and Android users. The old UI used a design of a wallet to help users navigate the app. That has been replaced with direct lists and an easier way to start a tab at a new store. A text search and a map browser helps users find specific stores that will accept Square mobile payments. You can also save and share your favorite businesses through email, texts or Twitter. Android users, getting the tab for the first time, will have the same functions as the iOS version. The Android app also offers automatic tab setup at a store as soon as you get within a certain distance of it. Neither the iOS or Android app is optimized for anything but the small screens on a smartphone. While optimized for iOS 5, the app will work on Apple iPhones running iOS 4.1 or later. and Android users need to be running Android 2.2 or later. Smart move by Square. With NFC solutions like ISIS (that's NFC right?) and Google Wallet knocking on the door they need to maintain their edge. Can we get Square for Windows Phone, please?!?! ?